Sir Alfred James Munnings, P.R.A., R.W.S. 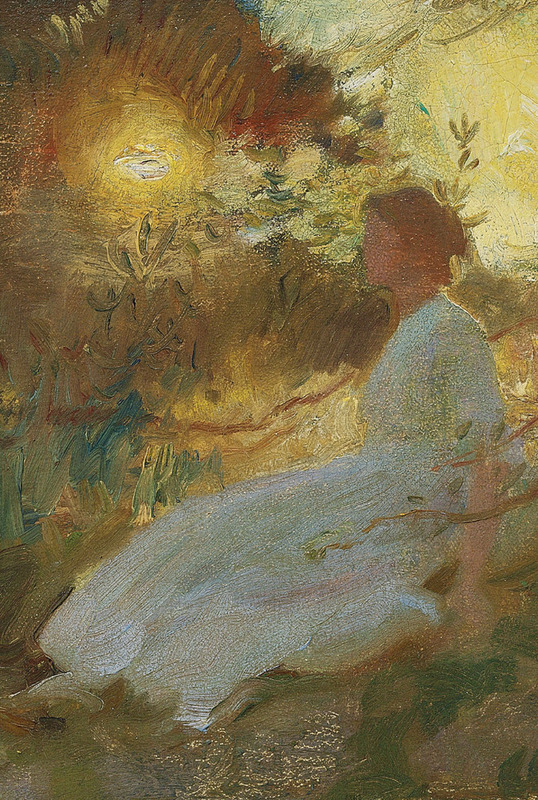 (1878-1959), Portrait of Florence Munnings, at sunset (1912), signed and dated ‘A.J. MUNNINGS 1912’ (lower right), oil on canvas, 21 x 24 in. (53.4 x 61 cm. ), Source: Christie’s. 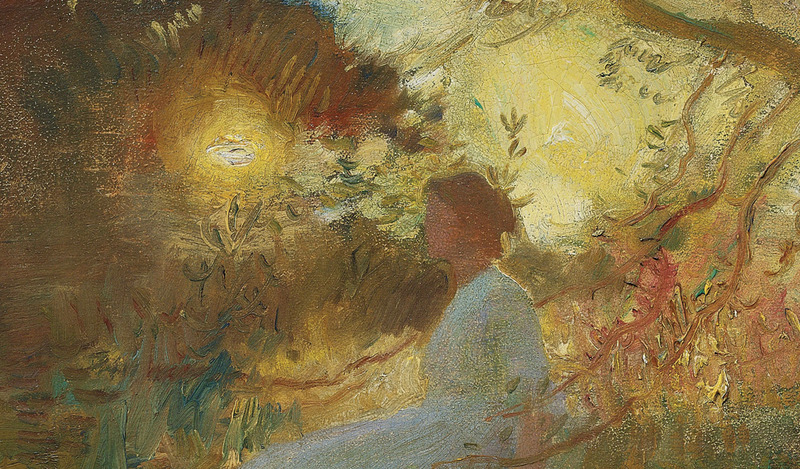 Portrait of Florence Munnings, at sunset (1912) is a key work in his Cornish period and a rare painting by Munnings of his first wife, Florence Carter-Wood. 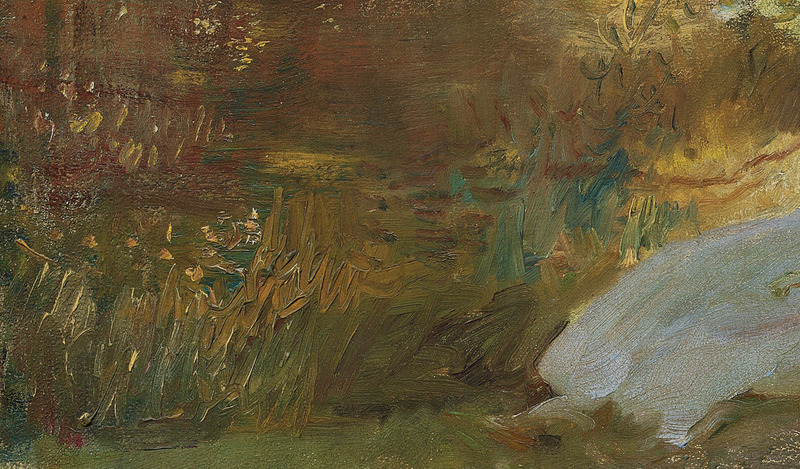 Florence was an artist herself, exhibiting both at the Royal Academy and at Walker Art Gallery. She is probably seated on the garden wall of Cliff House, or in the nearby road through Lamorna Valley known as Rocky Lane. She is silhouetted against the diffused light of the setting sun, which casts a warm summer light and enhances the shadows. Her brother, Joey, was a student at Stanhope Forbes’s painting school, and it was through him that she met Harold and Laura Knight, for whom she frequently modeled at this period, and the irrepressible Munnings, who was omnipresent at any social gathering in and around Newlyn. The story of Florence, however, is not a happy one. Are there hints of disharmony in this painting of his wife that Alfred Munnings produced in the first year of marriage? Sir Alfred James Munnings, P.R.A., R.W.S. 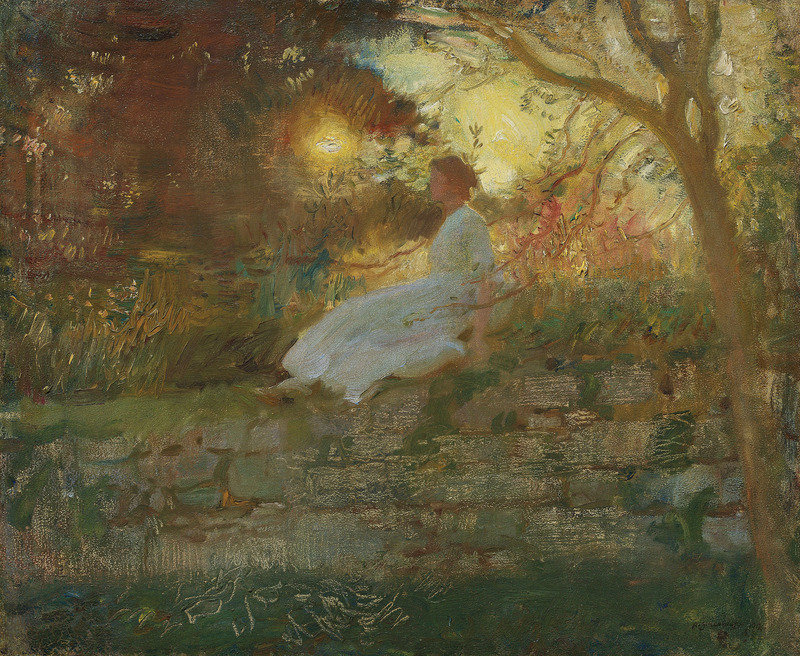 (1878-1959), Portrait of Florence Munnings, at sunset (1912), signed and dated ‘A.J. MUNNINGS 1912’ (lower right), oil on canvas, 21 x 24 in. 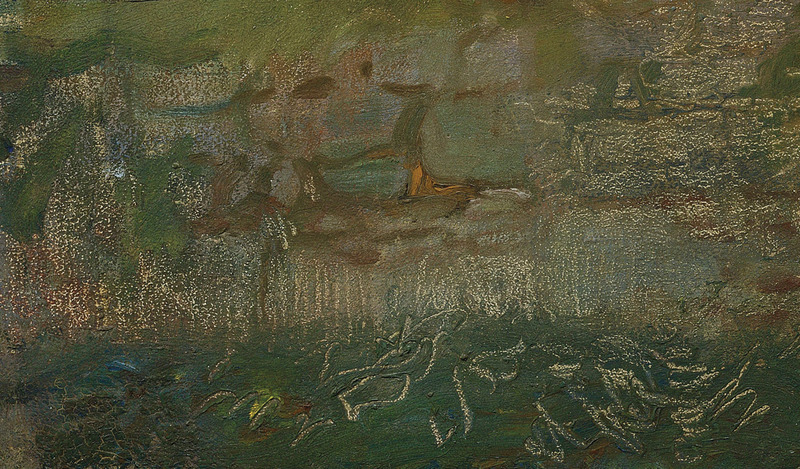 (53.4 x 61 cm. 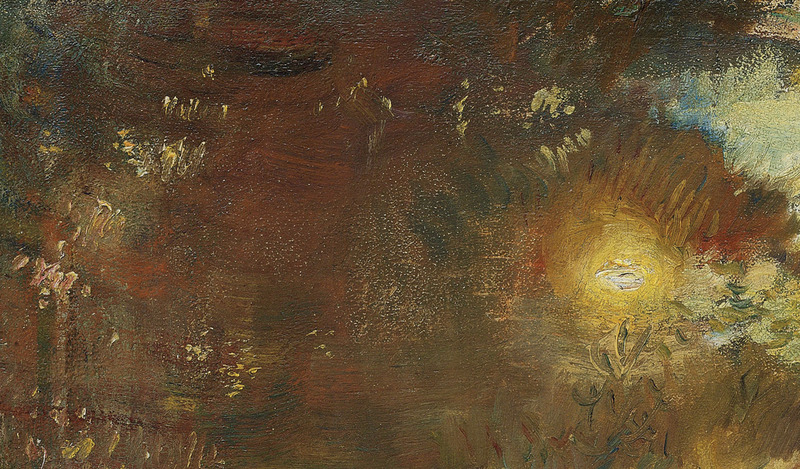 ), Source: Christie’s., (detail). Florence and Munnings married in 1912, but the marriage was unhappy (and according to Munnings, unconsummated). When not in pursuit of the Zennor hunt, Munnings was in demand elsewhere, travelling up and down to London and Suffolk after their marriage. Florence, left in Cornwall, was neglected. Her friendship with a young captain in the Monmouthshire Regiment, Gilbert Evans, drew closer in these years – to the point in April 1914 when he realized the potential seriousness of their growing affection and decided that his only recourse was to leave England by joining a Royal Engineers Survey of Nigeria. Amid suspicions that she was pregnant by Gilbert, she took her own life on 24 July 1914. Munnings thereafter left Cornwall, and never mentioned her again. Sir Alfred James Munnings, P.R.A., R.W.S. 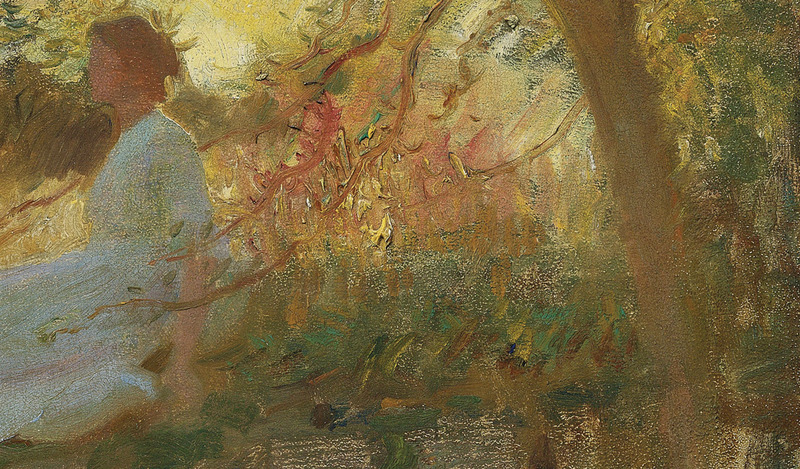 (1878-1959), Portrait of Florence Munnings, at sunset (1912), signed and dated ‘A.J. MUNNINGS 1912’ (lower right), oil on canvas, 21 x 24 in. (53.4 x 61 cm. 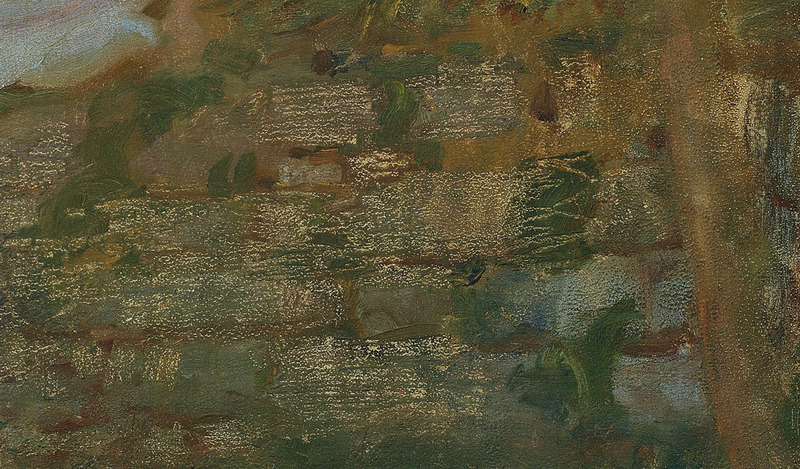 ), Source: Christie’s, (detail). What Happened to This Painting ? According to Christie’s, Munnings gave Portrait of Florence Munnings at Sunset to Jill and Geoffrey Garnier, fellow Newlyn artists. 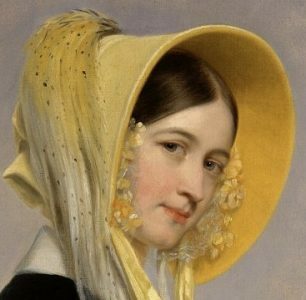 Their heirs sold the picture at auction in 2006. In future posts, I will research Alfred Munnings’ The Morning Ride in which Florence was once again his model. Interestingly, The Morning Ride passed by descent in the family of Major Gilbert Evans. I will also highlight Harold Knight’s portrait of Florence from the same period (sold at Christie’s on July 13, 2016). 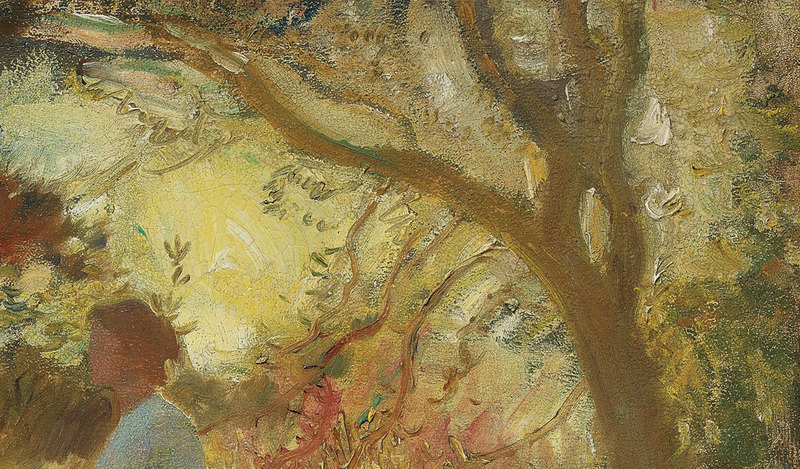 Finally, I am most interested in finding information about any paintings produced by Florence Carter-Wood in her brief lifetime. “Summer in February. Art in Lamorna 1910-1914”. from the blog Women Artists in Cornwall . 21 March 2013, by Helen Hoyle. There is warmth in the glow of the setting sun, but the body of the woman is stiff and appears distant.